Liz always wanted a family and children; but sometimes her career got in the way. She accepted a position at Franciscan Children’s, where she had volunteered 20 years prior, as the Senior Director of Nursing. Both Liz’s brother and sister had children and, as much as she loved being an auntie to her 13 nieces and nephews, she knew she wanted more. Approaching 40, Liz decided to see a fertility specialist but received some sad news. On that same day, Liz met Gisele, a little girl that would change her life forever. Gisele was born prematurely at just 29 weeks, weighing 1 pound, 14 ounces. She was born with neonatal absence syndrome (NAS), a consequence of being exposed to narcotics during the pregnancy. Gisele was immediately weaned off of the drugs, but faced additional complications from her prematurity in addition to the exposure. Needing continued care for her complex medical needs, Gisele was transferred to Franciscan Children’s. The state claimed custody of Gisele in October 2016, shortly after her arrival at Franciscan Children’s. Gisele’s birth parents were facing an uphill battle of addiction and were not fit to care for a child. Liz decided to foster Gisele. When Liz first began fostering Gisele the goal was reunification with her birth parents. This meant that Geisel’s birth parents had weekly visits with her, supervised by the Department of Children and Family Services. The end goal was to reunite her with her family. When Gisele’s birth parents did not appeal their rights being terminated and no biological relatives were fit to adopt her it became clear that Liz’s life was about to change dramatically. 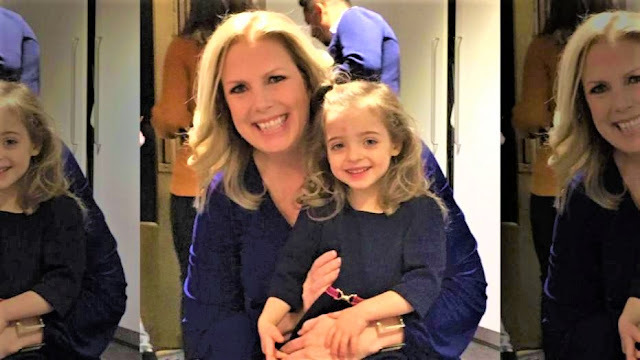 On October 18, 2018 her family gathered in the Brockton courthouse to finalize the adoption. It wasn’t until the judge actually read her name aloud as “Gisele Katherine Smith” and called her mom that she felt her dream of becoming a mom had come true. For Liz, it’s hard to remember life before Gisele. “I remember some of the painful pieces at times, but when I look at her I’m so happy I can’t believe I was ever so upset. I can’t remember the hard times because she makes me so happy,” explained Liz. Liz and Gisele’s inspiring story of love was chronicled on the TODAY Show on NBC. Watch their incredible story come to life in the video below.